Have you spoken to a single person who doesn’t like black and white photography? 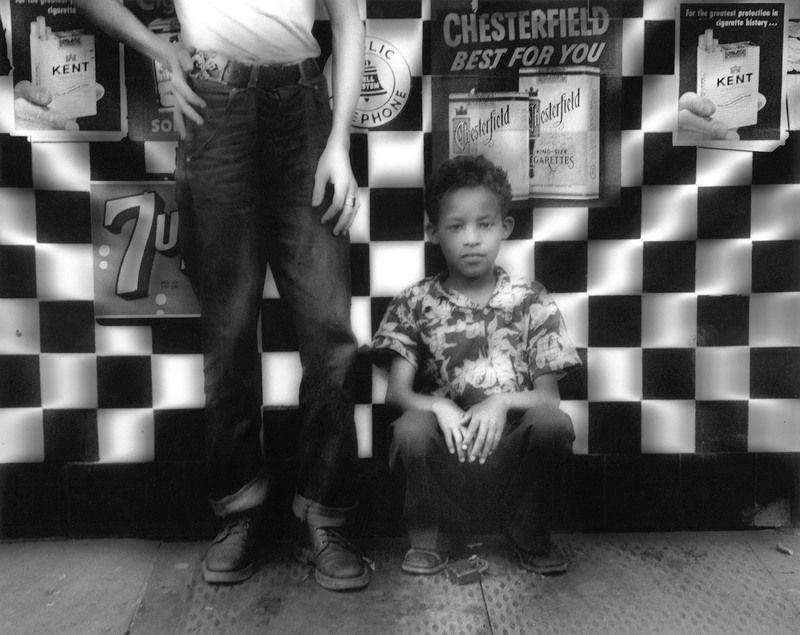 Those who look disdainfully at monochrome images, convinced of their lesser artistic capacity? If so, they are surely in the minority. It seems to be ingrained in our modern aesthetic values that when it comes to colour and photography, less is more. A rather generalistic statement I admit, and one which doesn’t come without a good few exceptions. But, from my own experience certainly, black and white appears to be favourite, particularly when capturing gritty city scenes, or images with an element of sinister undertone. Perhaps it is because it is unusual to our visual senses; we see in colour. To observe a scene which we know intellectually is in colour, but is in our visual field desaturated, may be intriguingly unusual to us. Perhaps it is less fundamental; more closely linked to social conditioning, culture, environment. To a large proportion of society, (and particularly my generation, brought up on a bloated diet of Hollywood blockbusters) the American film industry’s perception and subsequent projection of morals, life plans, love and everything else, was indoctrinated in us from an early age. We lapped it up; the escapist dream delivered to our doors in brightly coloured tardis-esque 80’s Video Vans. Even back then we understood that black and white films were adult, and thus, boring. Of course, that’s because they actually were adult. TV and film in black and white was reserved for the memory of our grandparents’ childhood, or intellectual art-house films frequented by beardy oxford types with glasses, smoking cigarillos (I want to be that cliche). In the days when all films were in black and white and the Hollywood industry had yet to discover emotional subtlety in filmmaking, it was just the way it was. Viewers were astounded when the first technicolor film was released; ironic really, as colour is actually more natural to us than black and white. In short, society has been increasingly prompted to associate monochrome with maturity, sophistication and glamour; ‘classic’ black and white. The anti-colours. Dark, brooding, the shade of midnight and the stage-set to most of our irrational fears. 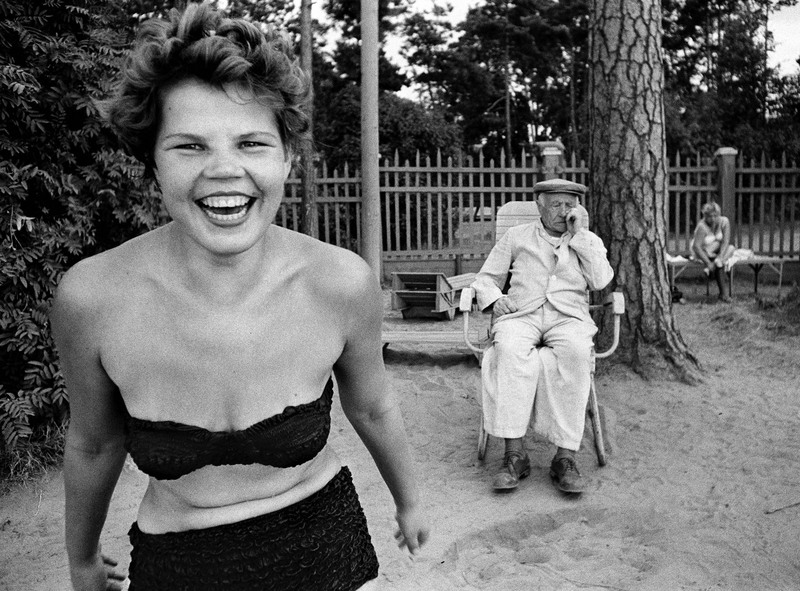 The psychological associations of black and white in our culture and consciousness go far deeper than visual art, but suffice it to say that we do afford it a certain artistic significance when it comes to this, particularly in photography. 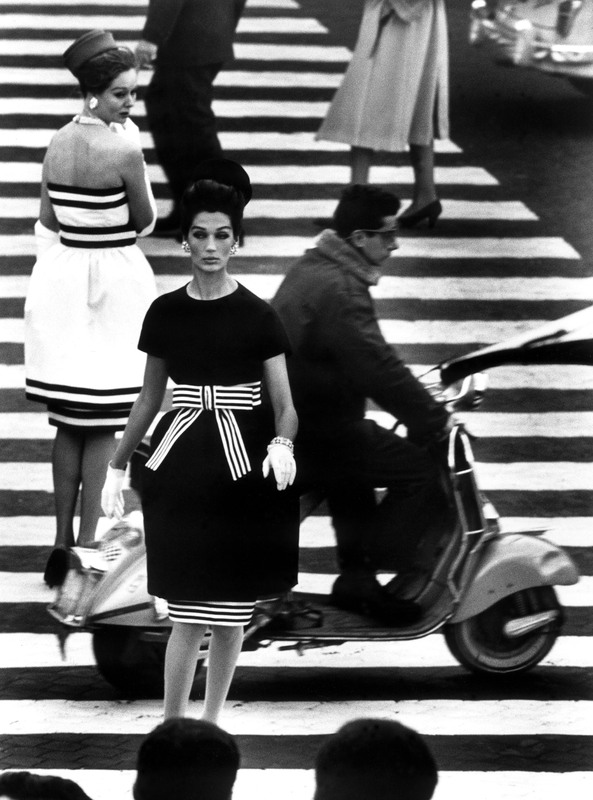 The William Klein and Daido Moriyama exhibition at Tate Modern showcases in parallel the work of these two key figures in photography over the past 60 years. The exhibition is set out almost as two mini-exhibitions which follow one another, the links between the two artists being suggested by their successive placing but not creating a direct comparison in the line of sight. By utilising this curating method the Tate allows the viewer to draw their own comparisons through memory of just-seen images. The immediate similarity is of course the choice to shoot almost exclusively in monochrome. 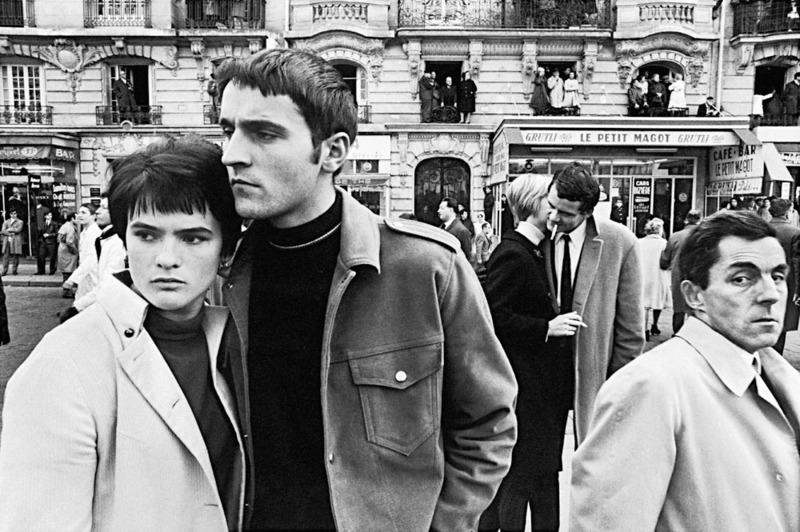 William Klein, whose dramatic photography adorns the walls of the first 6 or so galleries, captures subjects in their immediate moment. 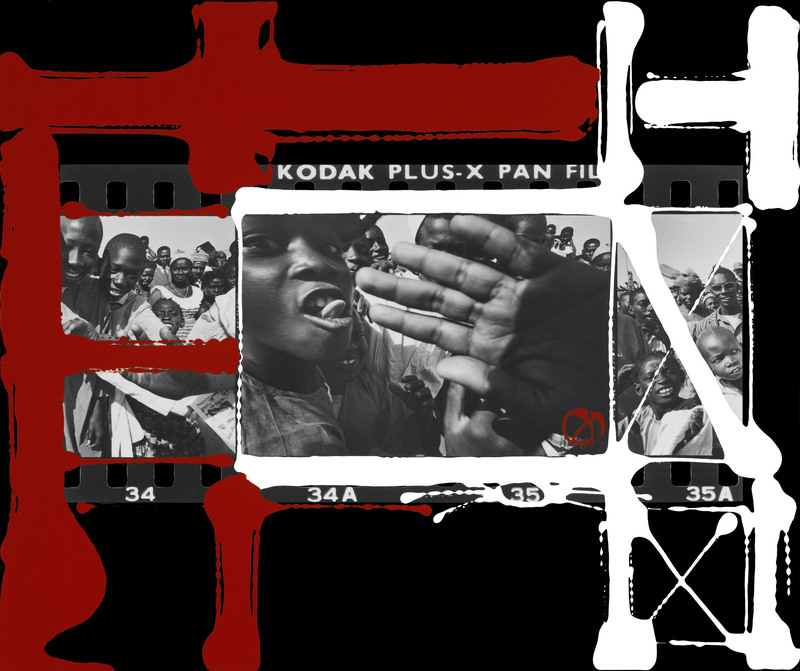 His documentary style is perfected by his ability to portray the scene as if he were not there, as if you, the viewer, are there in that moment. Many of those whom look at the camera give the impression of glancing over your face on their way to something more interesting, others seem completely at ease. It is a singular skill perhaps borne from the knowledge of how to make yourself nonthreatening or inconspicuous to those around you, and likely an element of luck and dogged persistence. Either way, it instills the photographs with unpretentious, genuine drama and voyeurism. 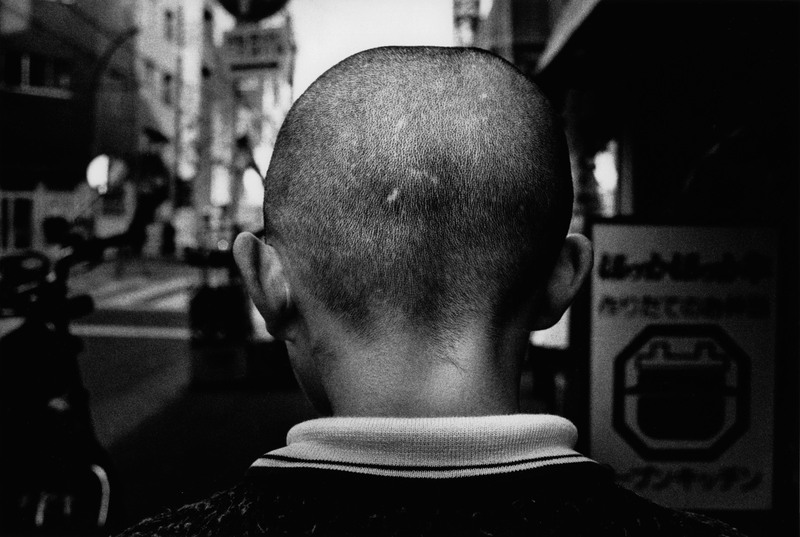 For Klein’s images, like Moriyama’s, succeed in conveying both the gritty, tumultuous drama of charged events, as well as the staid reality of everyday in downtown ’60s New York or Tokyo. 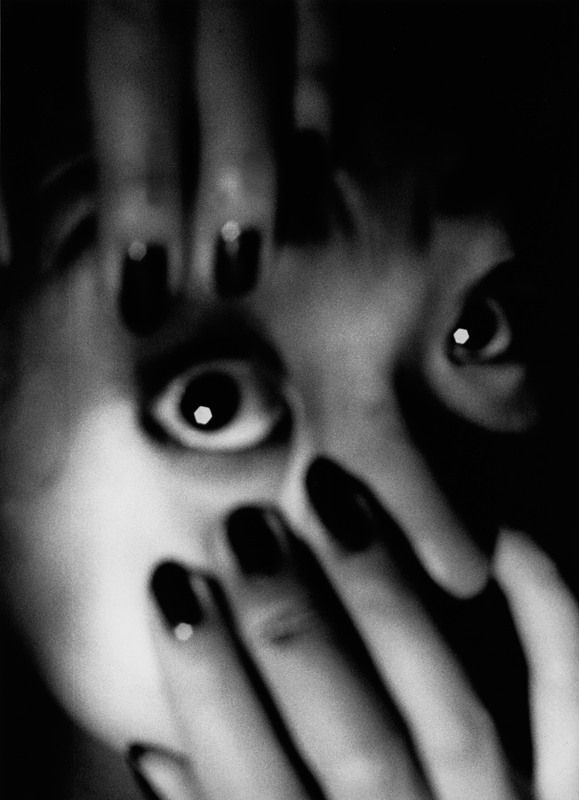 Like Klein, Moriyama also began experimenting with manipulative photographic techniques and sometimes other media altogether. But it is clear that both always believed photography to be their fundamental means of expression. Klein’s forays into paint, architecture and sketching always took photography as their basis and attempted to build on it; similarly, Moriyama’s film experiments looked to push the photograph beyond its static boundaries. They freely recognised the pure motives behind their work. It was refreshing to read Moriyama speak of photography as “not a means by which to create beautiful art, but a unique way of encountering genuine reality“. A simple, honest and entirely worthwhile explanation for his craft. The beauty of life. Those who love art create it, buy it, view it, read about it, but those who do not consider themselves to be interested in art are mistaken. Their lives are art, each moment a missed Moriyama. The sea-swell of anger through a crowd, a glittering night out in the big city, the frustration or loneliness of a forgotten soul; all unique moments passing by, crying out to be frozen for dramatic effect, but missed. If you take one thing from this exhibition let it be the desire to seek out those seconds; commit them to suspension and allow them to enlighten you. We are art, our lives are art and everything we create. You are an artist.